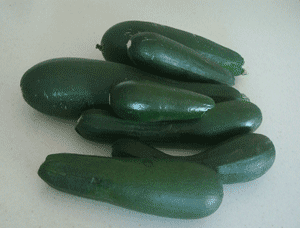 Summer squash (including zucchini) is a very-tender vegetable that grows best in warm weather. Normally, summer squash grows in 9 squares. If you prune and stake it, you can reduce that to just two squares. Harvest summer squash 3-5 days after flowering, just after the flower starts to die and fall off. When squash is small, it is more tender and has less seeds. Kathryn–that’s awesome, I like to have varieties to recommend! I found a variety of summer squash- Tatuma- that grows as a vine and can be trellised. I found it initially because I was searching for a summer squash that was resistant to squash vine borer- the little, um, monsters (I’ll be charitable here!) got my entire zucchini & summer squash crop last year! Anyhow, Tatuma is similar to Butternut squash in having a solid stem, instead of hollow, so they’re not very susceptible to SVB. We love the summer squash, and can’t get enough! 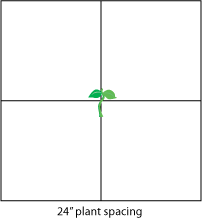 I will be checking out the post on staking the plants, as I would like to grow both yellow and zucchini this year and need the room. Thanks for posting!